Your home is an investment you worked hard for. Don't let dirt and grime degrade its beauty! We provide a complete range of home exterior cleaning services so you can have the peace of mind that your siding, gutters, driveways, walks, patio, deck or fence are being properly maintained and cared for. Proudly doing our part to help you protect your largest investment - your home! Are dirt, grime, mold & mildew destroying your home's curb appeal? 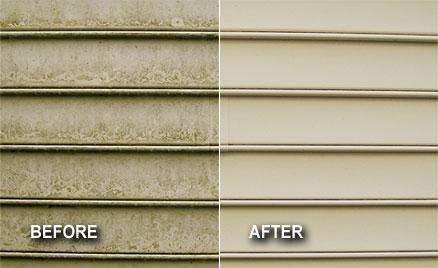 We use a Soft Wash siding cleaning method, applying eco-friendly solutions to safely remove these ugly contaminants. This quick, efficient service (think of it as an "Instant Home Makeover") will make your home look fresh & clean again - with zero risks of damage to your property! 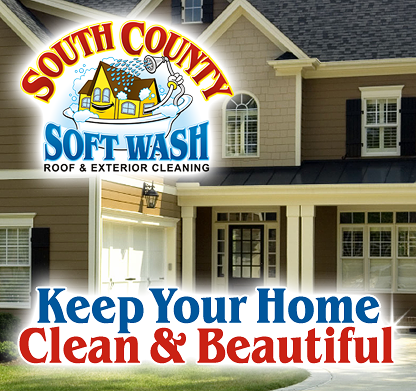 Soft Wash House Washing is ideal for a variety of home exteriors: VINYL SIDING - STUCCO - EIFS - BRICK - STONE and more! Keeping your gutters clog-free is smart preventative maintenance. Debris-filled gutters pose a substantial risk for backup's, water leaks, ice dams, insect & pest nesting, and even foundation damage. We can help! 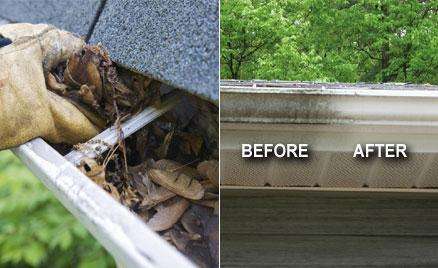 Did you know the facing of your gutters can be cleaned, too? Ugly dark streaks and stains build up on the exterior facing of your gutters due to "electrostatic bonding". We can safely and effectively scrub away these ugly markings. The perfect finishing touch to House Washing! 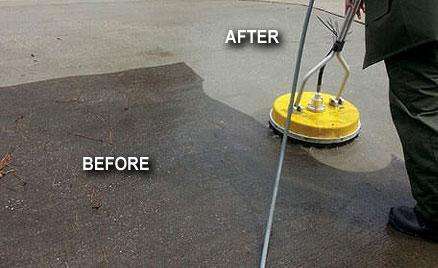 A clean driveway, walk or patio does wonders for your property! Our surface cleaning service removes built-up dirt, grime, grease, oil, and rust, to reveal clean, new looking surfaces that enhance your property's beauty. We use specialized pressure washing methods to wash away unsightly contaminants that stain and discolor concrete, brick, and stone. Reclaim the true, natural beauty of your deck or fence! 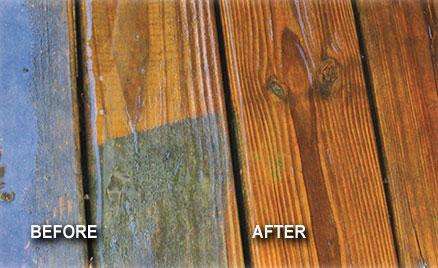 Has your wood deck or fence turned dull, gray and weathered-looking? Or maybe your composite deck or vinyl fencing is covered in dirt, dust and algae growth? We have the proper knowledge and equipment to restore your outdoor structures to their former glory!